The upper Roaring Fork River, east of Aspen, near the river’s confluence with Difficult Creek. The stretch of river between Difficult Creek and Maroon Creek is often plagued by low flows in late summer and fall. As a way to settle a 2009 state water court case led by Pitkin County and the Colorado River District, the Front Range city of Aurora has agreed to let as much as 1,000 acre-feet of water run down the upper Roaring Fork River each year instead of diverting the water under Independence Pass. It’s an amount of water that Pitkin County Attorney John Ely said would be “visibly noticeable” and would help bolster flows in the often water-short stretch of the Roaring Fork between Difficult and Maroon creeks. Officials with Pitkin County and the Colorado River District see the deal with Aurora as a victory, especially as some estimates, according to Ely, place the value of water in Aurora at $50,000 an acre-foot, which makes the 1,000 acre-feet of water potentially worth $50 million. The settlement is also of high value to officials at the Colorado River District, who led the efforts of the West Slope entities in the case. The provisions of the agreement relating to the Shoshone water right also include an acknowledgement that the senior water right might someday be changed to include an instream flow right rather than the water being diverted out of the river and sent to the hydropower plant. “Aurora will not oppose an agreement between a West Slope entity or entities, the Colorado Water Conservation Board, and any other entity entered for the purpose of adding instream flow as an additional use of the senior hydropower right,” the agreement states. Simpson agreed the overall deal represented a “haircut” for Aurora’s water rights in the Colorado River Basin. A view of Ivanhoe Reservoir, where water from the upper Fryingpan River headwaters is collected before being sent under the divide to Busk Creek, Turquoise Reservoir, and then the Front Range. In December 2009, Aurora filed a water rights application in Division 2 Water Court in Pueblo to change the use of its water rights in the Busk-Ivanhoe transmountain diversion system in the Fryingpan River headwaters. 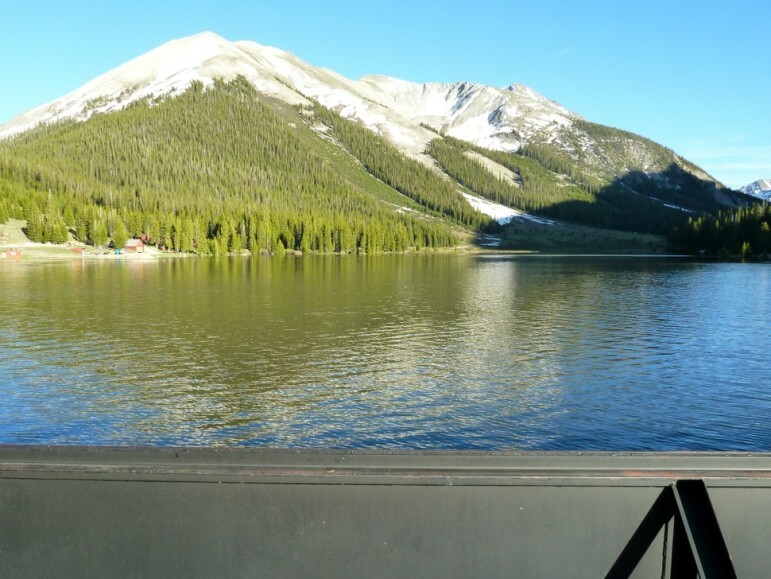 The system, built in the 1920s, gathers water from Ivanhoe, Pan, Lyle, and Hidden Lake creeks and diverts the water through the Ivanhoe Tunnel to Turquoise Reservoir near Leadville before it is sent to East Slope cities. The system was built to deliver water to irrigators in the lower Arkansas River basin. The Pueblo Board of Water Works bought half of the Busk-Ivanhoe system in 1972, and Aurora gradually secured its half-ownership in the system between 1986 and 2001. In its 2009 application, Aurora told the water court it wanted to change the use of its water in the Busk-Ivanhoe system from irrigation to municipal use. However, it also conceded it had already been using the Busk-Ivanhoe water for municipal purposes in Aurora, even though its water-right decree limited the use of the water to irrigation in the lower Arkansas River valley. It also came to light that Aurora was first storing the water in Turquoise Reservoir without an explicit decreed right to do so. That caught the attention of Pitkin County, the Colorado River District, a host of other Western Slope water interests, and the state engineer’s office, which administers water rights. Aurora’s stance was that since the water had been diverted under the Continental Divide, it didn’t matter how it used or stored the water, as it should make no difference to the West Slope. But an array of West Slope entities, including the Colorado River District, disagreed with Aurora’s position. In July 2013 the Western Slope entities and the state took Aurora to a five-day trial in Div. 2 Water Court in Pueblo, arguing that Aurora should not get credit for its 22 years of undecreed water use and storage. “It was always an issue of fact at trial as to how much water was in play because it depends on how you calculate the yield of the project,” Ely said. In 2014, thought, the district court judge in Division 2 ruled in Aurora’s favor, and the West Slope interests then appealed to the state Supreme Court. The appeal process prompted a host of entities on both sides of the Continental Divide to come forward and argue aspects of the case before the court. It also prompted a scolding of Aurora by former Supreme Court Justice Greg Hobbs over the use of undecreed water rights. In 2016, the Colorado Supreme Court reversed the lower court’s decision, ruled in favor of the Western Slope, and remanded Aurora’s original change application back to the lower court. “The Supreme Court wrote that notwithstanding the fact that the change application and original decree concerned developed transmountain water, water used for undecreed purposes cannot be included in a calculation for historic consumptive use and is therefore excluded from water available for change of use,” Ely wrote in his June 13 memo. So, rather than going back to Water Court and continuing to fight over the potential size of the Busk-Ivanhoe rights, which the West Slope now saw as being between zero and well-less than 2,416 acre-feet, Aurora began negotiating in January 2017 with the Western Slope entities still in the case, which included Pitkin County, Eagle County, the Colorado River District, the Grand Valley Water Users Association, the Basalt Water Conservancy District, Eagle County, Orchard Mesa Irrigation District, and Ute Water Conservancy District. Today, each of those entities is also a party to the intergovernmental agreement expected to be submitted to the water court in July, along with a proposed decree for Aurora’s Busk-Ivanhoe rights. Ely said Pitkin County didn’t start out in the case with an eye on securing 1,000 acre-feet for the Roaring Fork, but did have a local interest in the operation of the Busk-Ivanhoe project. 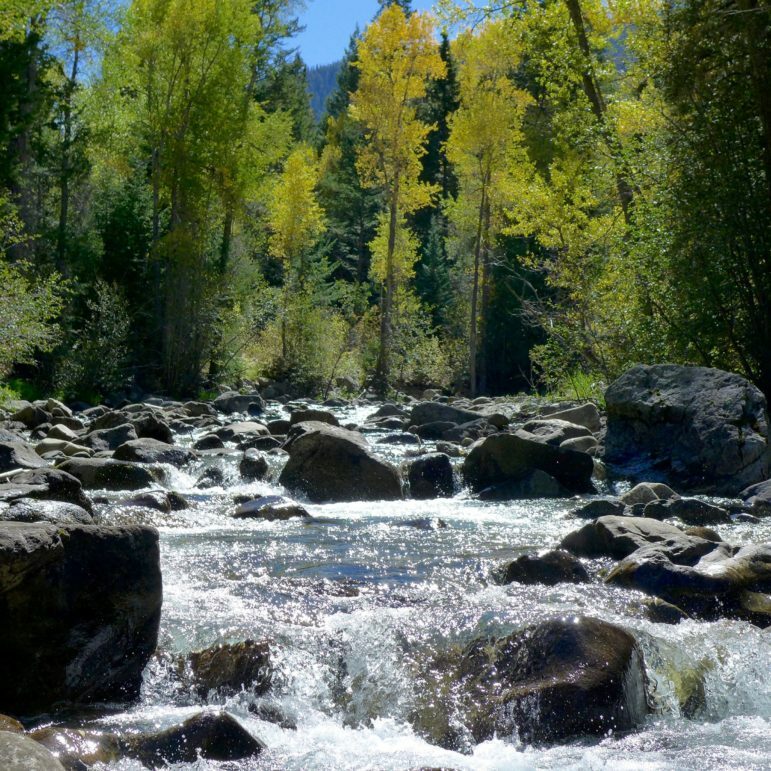 At the time of the 2016 Colorado Supreme Court decision, Pitkin County had spent $353,000 in legal and other fees in the case, using money brought in by a tax to fund the county’s Healthy River and Streams program, which includes litigation in water court. Since then, Ely said the county had spent an additional $27,300 for hydrology and engineering work, but had not spent more on additional outside legal help, as he and Assistant County Attorney Laura Makar handled the settlement negotiations for the county. The dam across the main stem of the upper Roaring Fork that diverts water from Lost Man Creek and the Roaring Fork into a tunnel under Green Mountain and, eventually, into Grizzly Reservoir and the tunnel under Independence Pass to the Arkansas River basin. Some of the water owned by Aurora will be bypassed at this point to run down the Roaring Fork. For Pitkin County and other Western Slope entities, it made more sense to negotiate with Aurora for some of the water it owns in the Independence Pass-Twin Lakes system rather than the Busk-Ivanhoe system, as any water bypassed by the Busk-Ivanhoe system would be scooped up by the Fry-Ark Project, which sits below the Busk-Ivanhoe system in the upper Fryingpan valley and also diverts water to the East Slope. Aurora owns 5 percent of the shares in the Twin Lakes Reservoir and Canal Co., which operates the Independence Pass Transmountain Diversion System. Its share of the water diverted each year from the top of the Roaring Fork equals about 2,100 acre-feet a year, so the 1,000 acre-feet of water equals about half of Aurora’s water in the Twin Lakes company. In the 10 years from 2007 through 2016, Twin Lakes Co. diverted a total of 485,762 acre-feet of water from the upper Roaring Fork River Basin through its diversion system, putting the 10-year average for that period at 48,567 acre feet. 2011 was the biggest year of diversions since 2007, with 67,463 acre-feet diverted, and 2015 was the lowest year since 2007, with 18,374 acre-feet diverted. Colorado Springs owns 55 percent of the shares in Twin Lakes Co., Pueblo 23 percent, Pueblo West 12 percent, and Aurora 5 percent. There are also other minority shareholders, holding 5 percent of the shares, still using the water from the system for agriculture. Twin Lakes is not a party to the intergovernmental agreement between Aurora and the West Slope entities, but it is willing to work with all involved to make the water deliveries as beneficial as possible for the Roaring Fork River. 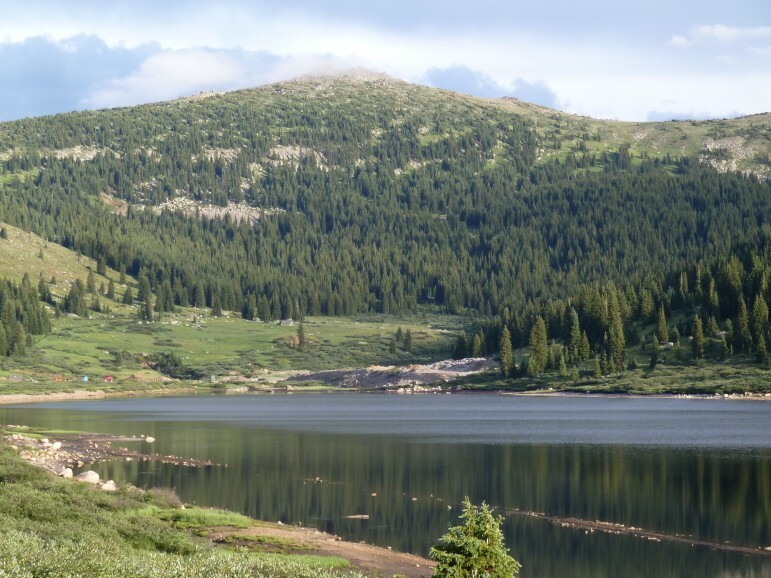 Ely said Pitkin Country was grateful for the willingness of the Twin Lakes Co. to work with the county and the Colorado River District to release the water in a way that benefits the river, even if it means more work for the operators of the Independence Pass-Twin Lakes system. According to Kevin Lusk, the president of the Twin Lakes Reservoir and Canal Co. and a senior engineer at Colorado Springs Utilities, the company is simply responding to the desires of a shareholder in the company, Aurora. He also said it’s legal under a 1976 water-rights decree held by Twin Lakes to bypass water for use on the West Slope instead of diverting it under the Continental Divide. “The decree allows for this type of operation and so really all we’re doing as a company is accommodating the request of one of our shareholders to do something that was contemplated and provided for in the decree,” Lusk said. And as part of the agreement, representatives from Pitkin County, the Colorado River District, Aurora, and Twin Lakes will meet each year to agree on a delivery schedule for the water that describes the “desired rate, timing, amount, location and ultimate use of the water, as well as the operational needs and constraints” of the Independence Pass-Twin Lakes diversion system. And Pitkin County feels the same way, according to Ely. “We would like it delivered later in the year when the flows of the river start to go down,” he said. However, Lusk at Twin Lakes said if the West Slope entities wait too long in the season to bypass the water, it may not be there to bypass. Lusk also said that if the West Slope really wanted to take full advantage of the water, it might consider building a reservoir above Aspen to store the water at peak runoff and then release it later in the season. Grizzly Reservoir on Lincoln Creek, well above its confluence with the Roaring Fork River at Lincoln Gulch Campground. The reservoir briefly stores water before it is diverted under the Continental Divide. If the deal is approved, as soon as next year 700 acre-feet of Aurora’s water is expected to be captured briefly in the Independence Pass system, which includes dams on Lost Man Creek, the main stem of the Roaring Fork River, and on Grizzly Creek, and then released down either the Fork or Lincoln Creek toward Aspen. Another 200 acre-feet of Aurora’s Twin Lakes water will be held in Grizzly Reservoir on Lincoln Creek, which holds 570 acre-feet of water. That water will then be released late in the year, after most transmountain diversions have stopped, to bolster late-season flows in the river. Another 100 acre-feet of water could also eventually be left in the Roaring Fork each year after a complicated exchange-of-water arrangement is worked out with Aurora and other parties on the Fryingpan River, which brings the potential total water left in the Fork to 1,000 acre-feet. There is also a drought contingency provision which will allow Aurora to bypass 100 acre-feet less than they would have under the deal if the water level in their system of reservoirs falls below 60 percent on April 1 in a given year. So in a dry year, that could bring additional flows in the Roaring Fork back to 900 acre feet. The upper Roaring Fork River at the Cascades at about 6 p.m. on Thursday, June 16, 2016, after Lincoln Creek surged into the Fork, about an hour after the Twin Lakes Tunnel was closed. When the Twin Lakes system is closed for whatever reason, as it has been the past several seasons, the Roaring Fork River leaps to life with renewed intensity. The pending Busk-Ivanhoe settlement also includes a provision that allows the Basalt Water Conservancy District to store 50 acre-feet of water in Ivanhoe Reservoir, which holds 1,200 acre-feet of water and serves more as a forebay for the Ivanhoe Tunnel diversions than a storage reservoir. And, in a provision to Aurora’s benefit, the West Slope entities, including Pitkin County, have agreed not to fight, at least on a wholesale basis, the permitting of two potential reservoirs that Aurora is working on, Wild Horse Reservoir in South Park and Box Creek Reservoir, which could hold between 20,000 and 60,000 acre-feet on private land on the south flank of Mt. Elbert. “Any participation in the permitting processes by the West Slope Parties will not seek to prevent the project in its entirety and comments or requests may be raised only for the purpose of addressing water related impacts caused directly by either of the two above specified projects on the West Slope,” the draft agreement between Aurora and the West Slope says. The concession from the West Slope is significant as Box Creek Reservoir will be able to store water from the West Slope. The West Slope entities also agree not to oppose changes in diversion points tied to the Homestake transmountain diversion system in the Eagle River Basin, not to oppose Aurora’s efforts to repair the Ivanhoe Tunnel, which is also called the Carlton Tunnel. The tunnel was originally built as a railroad tunnel, and then used as a highway tunnel. Finally, the parties to the deal have agreed, in what’s called a “diligence detente,” not to challenge in water court for 15 years a list of conditional water rights, held by both East Slope and West Slope entities, that are required to periodically file due-diligence applications with the state. The list of conditional water rights includes rights held by Aurora tied to the Homestake project and rights by the Southeastern Water Conservancy District tied to the Fry-Ark Project. They also include rights held by the Colorado River District on a number of West Slope water projects, including the potential Iron Mountain Reservoir near Redcliff and the Wolcott Reservoir near Wolcott. Notably, the agreement does not include provisions to legally shepherd the water from the Independence Pass-Twin Lakes system all the way to the confluence of Maroon Creek, so it’s possible that diverters on the river near Aspen, such as the Salvation Ditch, could pick up the water left in the river. However, Ely said the county will seek cooperation from diverters on the river near Aspen. An additional benefit to the deal, according to Ely, is that the management of the 1,000 acre-foot pool of water from Aurora may also lead to better management of a 3,000 acre-foot pool of water also available in the Independence Pass-Twin Lakes system. That pool was created to mitigate the impacts to the Roaring Fork River from diversions by the Fry-Ark Project on Hunter, Midway, and No Name creeks, which drain into the Fork in central Aspen. 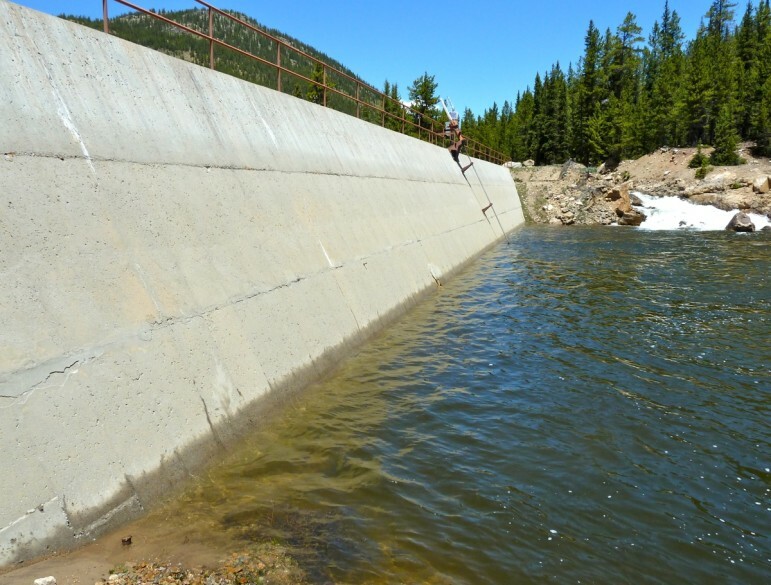 And while Twin Lakes releases the water down the Roaring Fork, releases from the Fry-Ark Project replace the water in Twin Lakes Reservoir, where both transbasin diversion systems can send water. 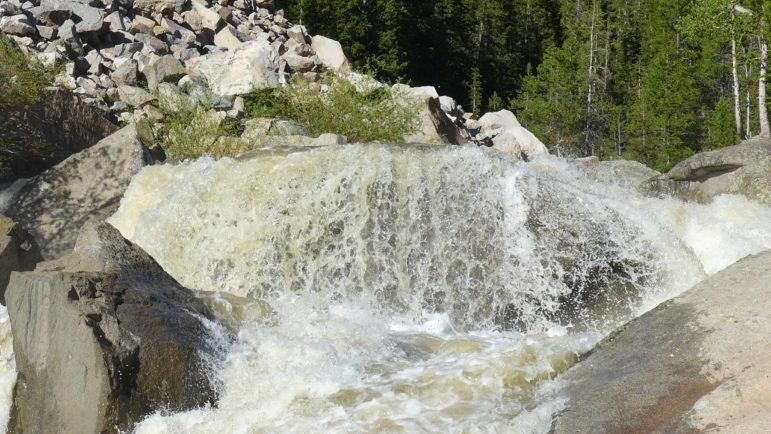 For years, the water from the 3,000 acre-foot pool has been released at a rate of 3 cfs on a year-round basis and has not been timed to help bolster low-season flows. Now, given the greater cooperation over the management of the 1,000 acre-foot pool from Aurora, how the 3,000 acre-foot pool from Fry-Ark is managed may also change, to the benefit of the river. Aspen Journalism is collaborating on the coverage of rivers and water with The Aspen Times. The Times ran a shorter version of this story on Tuesday, June 12, 2018. 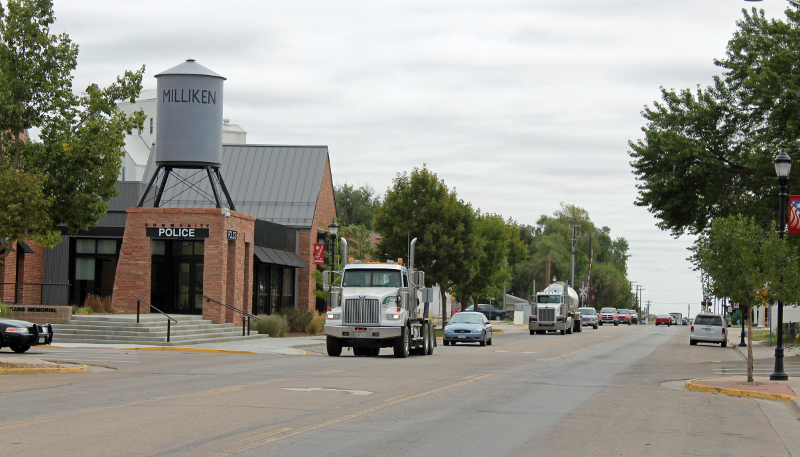 The state shut down Milliken’s water plant in May 2014 following at least a year of warnings regarding the high-salinity brine water — a product of the town’s drinking water treatment process — the town was discharging into the river. The town faced fines of up to $10,000 per day, which could have totaled in the millions of dollars, but the fine was reduced to $140,000. Milliken officials have since spent $400,000 on engineering studies, which helped officials come up with a new process for treating the leftover water. It’s the same process mining companies use, involving a variety of filters to treat the brine water. It’s a $2.9 million fix, and town officials announced Wednesday the town has received a $900,000 grant from the Department of Local Affairs. In the past, Milliken has treated about one-third of its residents’ drinking water, relying on Greeley and Central Weld County Water District for the rest. The past four years have seen Milliken’s reliance on Greeley and Central Weld increase to make up for the town’s inability to treat its own water, Wiest said. Wiest wasn’t sure how much more that setup cost Milliken, but he said the town has been paying more for water from the outside suppliers than it would have cost to treat its own. 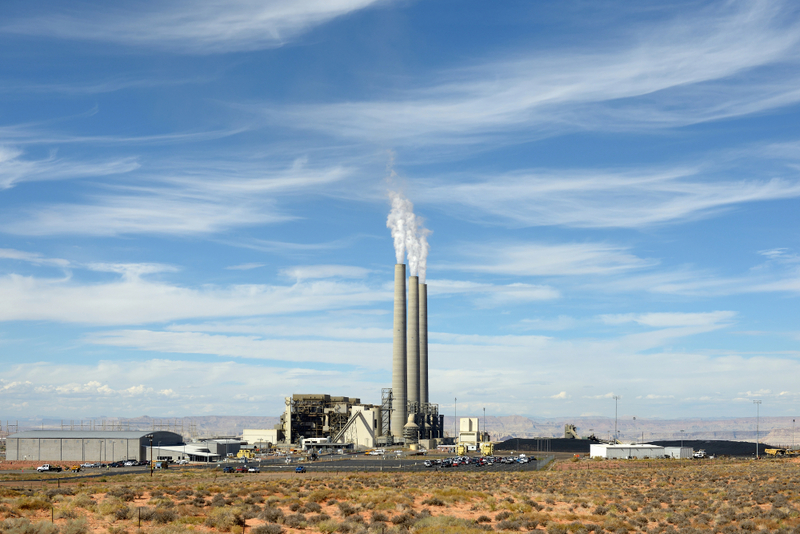 Navajo Generating Station. Photo credit: Wolfgang Moroder. This article was first published June 8, 2018 on The High Country News. 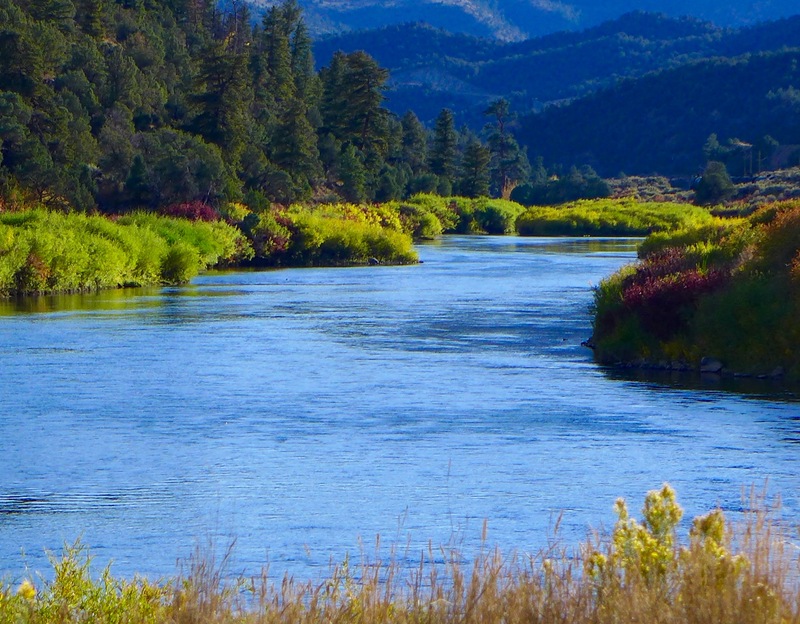 Upper Colorado Basin states are working on innovative conservation projects that will protect the economic benefits from the river, support agriculture, and encourage the long-term health of the Colorado River. Listen today to We Are Rivers Episode 11: How Water Management and Flexibility Can Save the Colorado River. For several years, an array of Colorado River Upper Basin stakeholders, including state agencies, farmers and ranchers, conservationists and municipal water managers have been partnering on innovative water conservation pilot projects to help ensure healthy flows and habitat in the river, maintain levels in Lake Powell and protect our vibrant agricultural communities. Additional support is needed, though, to turn those pilot projects into a sustained, effective demand management and system conservation program that includes a water bank in Lake Powell to store the conserved water. Expanded funding for these projects will help implement market-based solutions on a larger scale to maintain healthy flows in the Colorado River and sustain the jobs, wildlie and communities that depend on it. Additionally, states will need to enact water policies and procedures that allow water conserved through these projects to be left in the river and allowed to reach Lake Powell. In Episode 11 of We Are Rivers, we explore the ideas and efforts behind expanded demand management and increased conservation across the Upper Basin with Scott Yates of Trout Unlimited and Taylor Hawes of The Nature Conservancy, both of whom are deeply integrated into the nuance and detail of developing a system that works for everyone who relies on the Colorado River, as well as the long-term, sustainable health of the Colorado River itself. Listen to We Are Rivers Episode 11: How Water Management and Flexibility Can Save the Colorado River today!